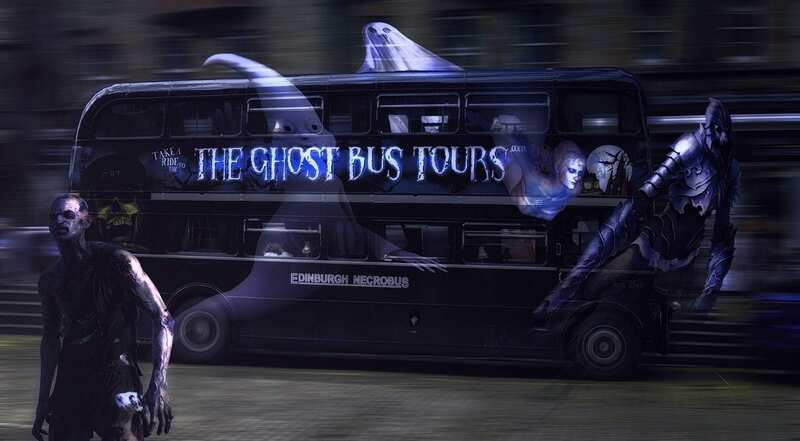 The Edinburgh Ghost Bus Tour is a theatrical sightseeing tour, taking you on a journey around the darker side of Edinburgh. Your creepy conductor shows you the sights onboard a classic 1960s Routemaster bus as you experience the travelling ghost tour of Edinburgh. Learn about witches, grave robbers, plague and of course the ghosts that reside in the most haunted city in Europe. A comedy horror show as you travel around the city, this is the perfect way to see Edinburgh and discover it’s dark and unusual secrets. This sightseeing bus tour is a journey around Edinburgh’s gruesome past, while seeing the city’s most famous sites, including Edinburgh Castle, The New Town, Grassmarket, Greyfriar’s Kirk, The Old Town, Holyrood Palace and the Royal Mile. The Conductor will show you where the murders, tortures and executions took place – and where certain restless spirits still linger. Hear about Edinburgh’s grisly history, from Burke and Hare to the hundreds of women drowned or burned as witches. There are also surprises onboard the bus – it was indeed once a funeral bus, so it’s not a surprise that the dead may have left an imprint on the vehicle . 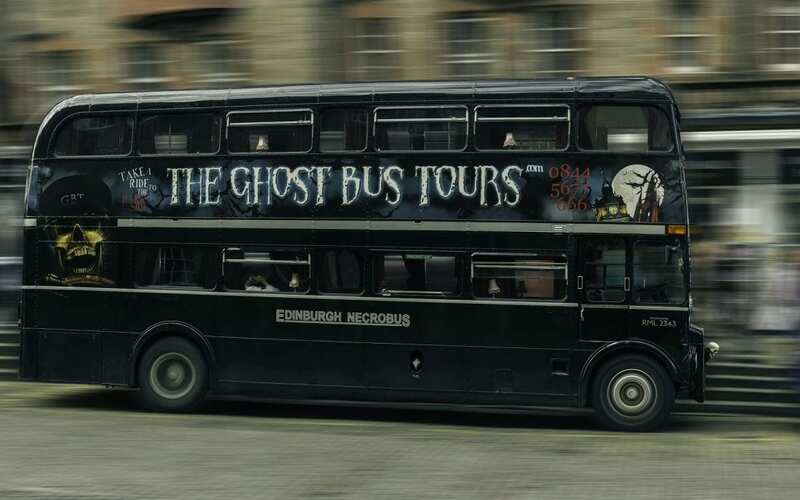 Enjoy this spooky ride aboard the only surviving Necropolis Bus. The Necropolis Bus Company began in the 19th century as a private funeral bus service carrying the deceased, pallbearers and mourners to the final resting place. Painted in the traditional midnight black of all the Necropolis Routemaster buses, decorative features include lamps and window curtains. In 1967, the entire fleet was destroyed in a mysterious fire… only one bus survived. Will you? Children aged 15 and under must be accompanied by a paying adult. Travel before 31st August and receive a Free guide book.